Marriage is one of the best things to have happened to me in the past few years. I have always been a believer in the institution of marriage, moreover getting married to the man of my dreams has strengthened my belief. I vividly remember my marriage day wherein instead of behaving like a coy bride I was nicely smiling to everyone and posing for photographs. Imagine a person who hates getting clicked, poses with ease on her D-Day (LOL that's me 😁). We often take pictures to cherish the best moments of our life. Some pictures end up being framed , some pictures are made into an album, some end up getting saved into the laptop, digital camera, phone. Why so?!!! Because we want to treasure all our special moments but not all hold the same place in our hearts. Some moments are extra special, the moments which are life changing, the moments which make us nostalgic, the moments which make us what we are today 😊😊😊. Canvas Champ just makes this possible with their high quality canvas prints at a very affordable rate. Moreover my order was processed and couriered in flat 4 days. I had placed an order on 20th October and i received my order on 24th October. The canvas print reached me nicely wrapped in a cardboard box. The frame had a double enamel coating on it to prevent damage to the canvas. 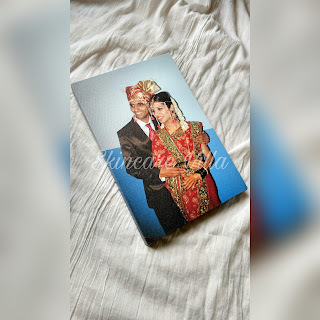 Overall am quite happy with the canvas print which cost 576 INR with free shipping. My canvas print size is 12" X 8". The canvas is made up of soft cotton material. My canvas print already has a hook do that i can hang it easily. Now the big question why Canvas Champ?? We are one of the largest printing houses, and have been around for more than 20 years. We offer the best quality at guaranteed lowest prices. Our ordering process is easy and convenient. We provide free professional design and design proofs upon request. 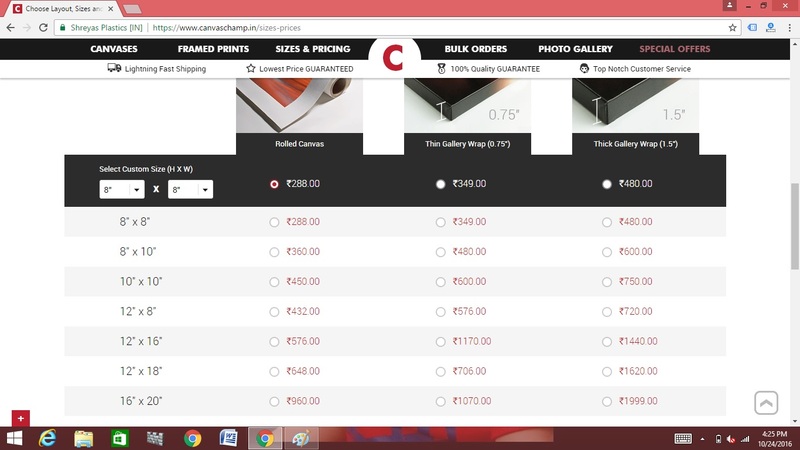 How do they offer high quality, custom prints at an affordable price? We are one of the largest wholesale printers in the industry. Higher volume allows us to get materials and supplies directly from the manufacturers at low price. Optimum utilization of printing in and outside India helps us keep our overhead cost low. We believe in passing these savings to our customer. Any size between 8" x 8" to 55" x 55". 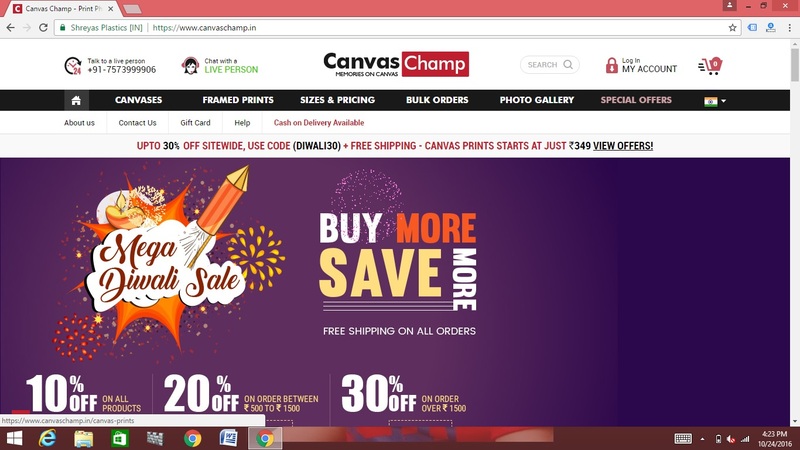 For additional sizes contact Canvas Champ team. What is the difference between Rolled, Thin and Thick Gallery Wrap? Thin Wrap : They come with pre- stretched canvas on 0.75" thick wooden frames. 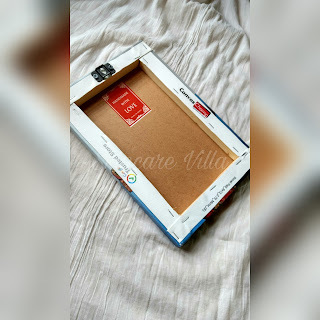 They are useful if you want to use the canvas and get a customized frame on it . They have a thin , sleek and stunning look to it . They come ready to hang. I would highly suggest you to visit the website once and try for yourself to get your favourite memories Canvased by the Champ. Whenever I shift to my dream home I am surely going to order some canvas prints of my favourite memories. 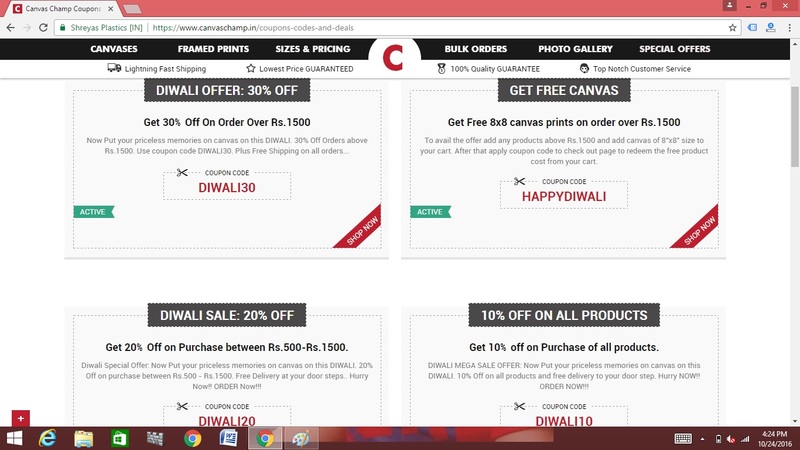 NB - canvas print was offered for free in exchange of honest review.